UKIP politician Roger Helmer – who claimed that homophobia does not actually exist – is now complaining about ‘UKIP-phobia’. Mr Helmer, a Member of the European Parliament for the East Midlands, tweeted an article yesterday criticising Channel 4 for airing a drama exploring the potential impact of a UKIP government. While linking to a piece attacking the broadcaster, he wrote: “UKIP-PHOBIA: Why the establishment is terrified of UKIP”. His complaints of a ‘UKIP-phobia’ are surprising, given he has previously claimed that the word homophobia is a “propaganda device” that “describes something which simply does not exist”. He wrote in a blog post in 2009, while a Conservative: “Let me point out that the neologism ‘homophobia’ is not so much a word as a political agenda. In psychiatry, a phobia is defined as an irrational fear. “I have yet to meet anyone who has an irrational fear of homosexuals, or of homosexuality. “So to the extent that the word has any meaning at all, it describes something which simply does not exist. Mr Helmer was UKIP’s candidate in last year’s Newark by-election, where he came second behind the Conservatives despite a string of anti-gay comments. In October, the married MEP called for “privacy” after it was revealed he had visited a “sleazy” massage parlour. Despite appealing for his own private life, Mr Helmer has sought to interfere in the private lives of millions of gay couples on several occasions, claiming that he should be able to dislike gay people in the same way as different types of tea. 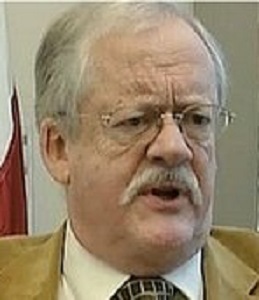 Roger Helmer: I prefer straight activity, does that make me homophobic?